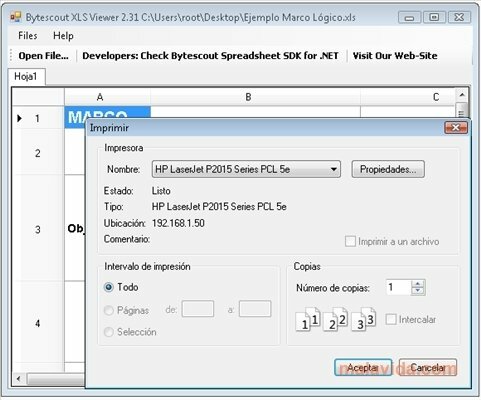 The XLS format is used by Microsoft to save the files created with its spreadsheet application, Excel. If you just need to view or print a file with this extension on a computer where you haven't got the application installed, the best thing to do is to resort to a free viewer like XLS Viewer. XLS Viewer is a free lightweight application that you'll be able to take anywhere and with which you'll be able to open, view and print any file saved by the Microsoft Office Excel application in its original format, XLS. This program also offers you other interesting functions like the possibility to export these files to the extended HTML format. Thus, you'll be able to open the converted files with any browser to view and print them. Another of the possibilities offered by XLS Viewer is the simple spreadsheet edition option, even though this isn't the application's main function. This download requires that you have .NET Framework 2.0 or above.